Jefferson Center reaches deeply into the community and benefits, enhances, enriches and enlivens life for everyone in the region. 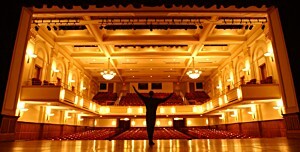 Jefferson Center not only provides artistic excellence in Shaftman Performance Hall, we are home to 19 essential nonprofit educational, human services, and arts organizations. These organizations nurture and empower so many of our citizens, providing services that dignify, teach and enrich many lives both young and old. They benefit from the financial efficiencies of shared facilities and services provided by Jefferson Center Foundation. This enables them to devote their valuable resources to providing direct assistance to benefit the community.